I talked about the importance of keeping compost aerated in my Beginners Guide to Composting. This is important because the bacteria that break down the waste need oxygen to survive. One of the ways that you can aerate the contents of your compost bin and thereby speed up the whole process is to turn the contents regularly. In your compost heap the central area (the hottest part) will always be the most composted with the cooler outer areas being less so. As to when, you should turn your compost heap a few weeks after you have finished adding material to it. If you are really keen you can turn it on a weekly basis which will speed up the whole process considerably. To turn the heap, remove the contents, mix it up and return to the bin. You will now find that you have introduced lots of air and less well composted material will make its way into the centre of the heap. Turning a compost heap will also disturb any unwanted rodents lurking in the heap and help to move them on to pastures new. Welcome to the April 29, 2008 edition of the Wiggly Wigglers carnival of country living. Sam presents Good Cooking with Balsamic Vinegar ! Surfer Sam posted at Surfer Sam and Friends, saying, "Balsamic vinegar is vinegar made from grapes and aged in wooden casks. It is not wine vinegar, because the grapes are never permitted to ferment into wine. Far superior to other vinegars, the flavor of balsamic is rich and slightly sweet. It is a culinary delight when used in sauces, marinades and vinaigrette salad dressing. Italians have enjoyed “balsamico” for more than 900 years, but only recently did it became popular in the United States." Jessica Jones presents Coffee to Compost posted at Practical Nourishment. :: Suzanne :: presents tegenaria agrestis posted at :: adventures in daily living ::. GP presents Get Lost posted at Innstyle Montana- Come on Inn, saying, "Lessons in trust both of our animals and in ourselves"
valereee presents Foraging: hot new foodie trend, or the hottest new foodie trend? posted at Cincinnati Locavore, saying, "When foodies and farm girls overlap, you get an increased interest in things like foraging, gardening, farmers' markets." Louise Manning presents Waitrose runs out of own-label pasta posted at The Human Imprint. Lightening presents Shearing posted at Lightening Online, saying, "This post gives a small glance into shearing on our farm in rural Australia." Harrison presents 15 Tips to Supercharge Your Spring Cleaning posted at Bridal Party Tees, saying, "this is a good resource for anyone who is trying to get organized for spring and summer"
Stephanie presents HIllbilly Swimming Pool posted at Adventures in the 100 Acre Wood. GP presents How Green is Your Garden posted at Innstyle Montana- Come on Inn, saying, "One of the things I’ve discovered in my ongoing quest to live in an environmentally responsible manner is, the more I learn, the more reasons I find to live even greener and more sustainably." 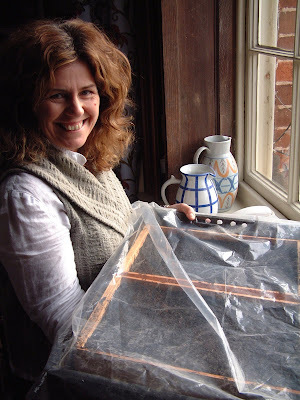 Louise Manning presents Four village pubs to close every day posted at The Human Imprint. Chickens in the Road presents Breakfast with Grandmother Bread posted at Author Suzanne McMinn, saying, "Stuffed French Toast, Cheesy Poached Eggs, Egg Grandwiches, and more! All from one easy, versatile, heritage bread recipe." Laura Williams presents Enchilada Casserole posted at Laura Williams' Musings. nichole halsey presents You put the lime in the coconut and grow a little seed posted at Bad Human! Don't take chemicals from strangers!. Stephanie presents 13 Things We Will be Growing This Year - TT #25 posted at Stop the Ride!. Jessica Jones presents Coconut Oil: Our Favorite Snack posted at Practical Nourishment. iMagxz presents 22 uses for Toothpaste posted at LifeJelly.org. Sara Ost presents Urban Gardening a Family Affair posted at EcoSalon, saying, "Urban dwellers are "countrying up" their spaces with smart garden design!" Stephanie presents Peppermint Sun Tea posted at Stop the Ride!. Kevin presents Dachshund - Breed Information posted at Dog Breeds, saying, "Breeds of Dogs contains dog breeds info on a variety of pure bred dogs." Sahara Reins presents What to do with Rooster Spurs posted at Fowl Visions. Sahara Reins presents Little Known Facts about Raising Chickens in Your Backyard posted at Fowl Visions. Jeff Sullivan presents Baldknobbers Jamboree Country Music Show posted at Branson Travel Attractions. Welcome to the April 29, 2008 edition of a carnival of country living. In country lanes and meadows up and down Britain the delicate yellow flowers of the native wildflower, the cowslip, can be found, heralding the arrival of Spring. The cowslip is a member of the primrose family and its Latin name is Primula veris. Its common name is from the Old English word (cuslyppe) for cowpat because they tended to pop up where these fell. 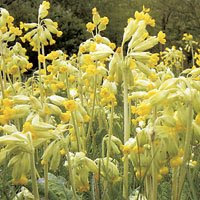 Cowslips prefer well drained alkaline soil and a sunny position. These perennials grown to a height of 12 inches (30 cm) and provide valuable food for several species of butterflies and moths. If you plant cowslips in a meadow setting don’t cut the grass until after late July when the seeds have set. Over the years cowslips have had many uses from making wine and jam to medicinal uses such as treatments for coughs and chest infections. The leaves have also been used for healing wounds.